Serving economical Christmas drinks during the holidays doesn’t mean they have to be non-alcoholic. You can offer an array of fancy frugal beverages to your guests by keeping it simple or jazzing them up with a shot of alcohol. Of course non-alcohol will always be cheaper than buying booze but if you want to offer drinks with a splash of buzz I have our top Christmas drinks picks for you. 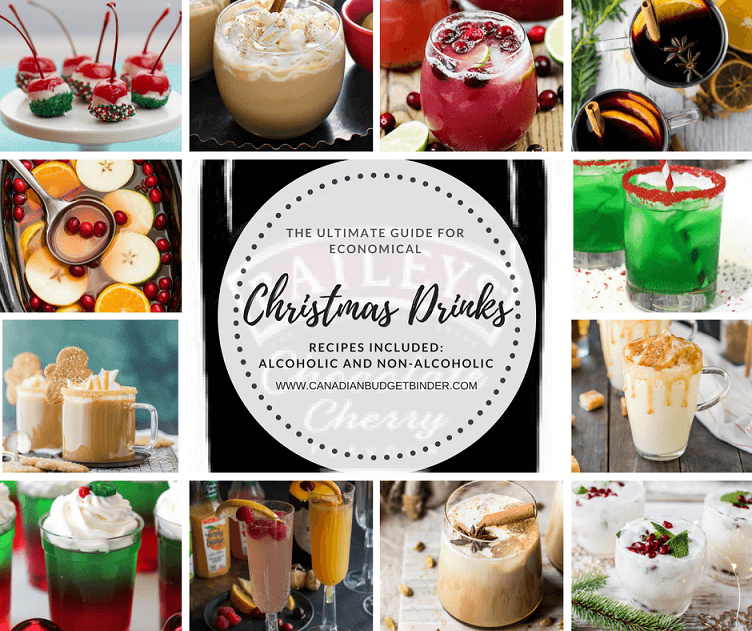 Recently I’ve had readers of this blog ask me if they should include Christmas drinks in their holiday budget planning and the answer is, yes. 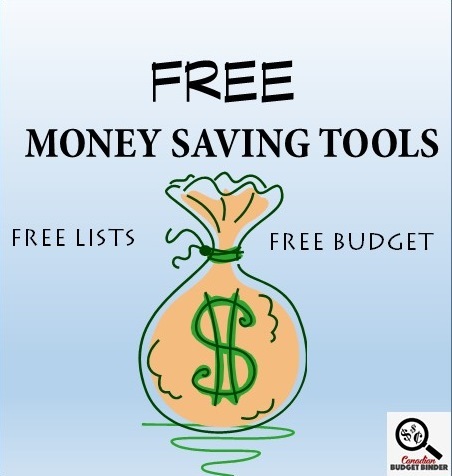 If it is money coming from your bank account you always include it in your budget. One problem that could arise is that hosting a Christmas party might be a last-minute arrangement. This means when you set your Christmas budget for the year you may or may not have considered hosting expenses. This is one of those cases of not being able to budget for all projected expenses. When creating your yearly budget if you plan to factor in projected expenses for the what-if’s it could save you in the long run. Worst case if you don’t use the money you have saved up by the end of the year you roll it into your savings or other bank account. Whether you plan to host a holiday party or attend parties it’s always nice to be armed with a few bottles of something special for your host. You don’t have to bring alcohol as a hosting gift but for most it’s the easiest gift to grab on the way to the party. Hosting guests over the holidays including New Years can get pricey if you plan to include alcoholic Christmas drinks to the menu plan. That doesn’t mean you have to shy away from offering alcohol or delicious holiday teas and other yummy drinks to your guests. From traditional Christmas drinks that make you all warm and fuzzy to holiday beverages that will entice all of your guests this festive season, we’ve got you covered. Now that we are parents and have made friends with other parents in our community we’ve been invited to a few Christmas cocktail parties. We weren’t sure what to expect as we aren’t party-goers like we used to be in our younger years but I don’t mind a few good Christmas drinks. This year we will be hosting a holiday gathering which includes 10 people for dinner so we will have to stock up on drink essentials to serve our finest guests, our friends. There’s nothing worse than being invited to a dinner party and offered drinks without a selection of some sort. Am I being too picky? Not at all. If you want to have a successful party make sure that you can afford all the essentials including Christmas drinks for your guests. You don’t have to go over the top and out the window with your holiday budget but offering a small variety for your guests is always welcome. Just because you don’t drink alcohol doesn’t mean your guests won’t enjoy a drink or two. It’s your choice whether to serve it or not. Some of you may be worried about serving alcohol at your party but adults need to be held accountable for their actions. If you see someone is drinking too much offer them a couch, ride home or helping hand into a vehicle that will get your guests home safe. I haven’t been to make dinner parties where the guests get sloppy drunk as many of our friends are just casual drinkers. There’s always that odd one though. Ha! Since we wanted to offer an array of Christmas drinks for our guests I thought I’d turn to my most trusted gang of online friends, my CBB fans for suggestions. Besides the basic Christmas drinks below why not glam up your holiday beverages? It’s easy to do and shows your guests that you were thinking about all the details of your party. I was more than impressed to see that the Christmas drinks suggested did not all contain alcohol. This made me happy because it’s important when hosting a holiday party to consider your guests and the little one’s that might come along for the evening. Not everyone drinks alcohol. If you are hosting a party and have no plans to offer alcohol you could offer your guests the options to bring their own alcohol to mix their favourite Christmas drinks. While planning our holiday gathering Mrs.CBB and I decided to purchase a few bottles of wine and wanted to offer a few alcoholic mixed Christmas drinks to our guests. Not all are alcoholic but certainly offer that holiday flare. Keep in mind that when adding alcohol to beverages it doesn’t have to be heavy. The most economical Christmas drinks will have juices, spices, milk, cream water, tea or coffee mixers. All of these ingredients are relatively inexpensive to buy during the holidays. 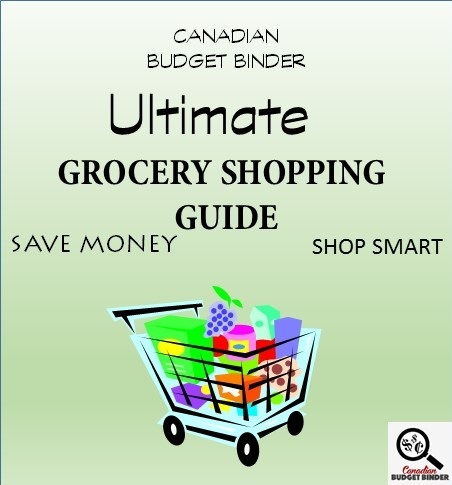 In fact the cream prices have come down to under $2.00 at Costco and for flyers sales at grocery stores. Here are our Christmas drinks picks although now we have to chop it down to at least four drinks for the offering. You will notice there are 2 different types of shots on the list one of which will be an after dinner sweet treat to go along with our Christmas cookies. Snowballs , Coconut Balls and buttery shortbread cookies one batch of each and our guests can take the leftovers home since we don’t eat sugar. Win-win. We also talked about offering a mimosa and found this blogger who has the How to make a Mimosa Bar down for anyone else interested in Christmas drinks this way. You could make this an alcoholic and non-alcoholic beverage making station. Just remember if you’re hoping to keep your Christmas drinks on the frugal side to watch the types of fruit you serve. I also found this great list of non-alcoholic drinks for the holidays that might inspire your beverage list. During the off-season for strawberries, blueberries, raspberries, blackberries etc. you’ll see prices rise. You could also plan and flash freeze your berries in the summer so you have them for your winter Christmas drinks. Stick to the in-season fruits and weekly fruit specials and you’ll be fine. We tend to find cranberries, apples, pomegranate, oranges, pineapple, bananas or grapes might be better options. There’s nothing wrong with stashing away a few bags of frozen fruit when it goes on sale. The President’s choice brand of frozen fruits at $2.99 a bag on sale is a steal. Over at Modern Parent you’ll find a fabulous list of 9 Kid-Friendly holiday drinks such as Grinch Punch. We also plan to serve our Keto-friendly sugar-free roasted Butter Pecans. The CBB fans have spoken and here are their go-to Christmas drinks that they adore during the holiday season. Cathleen Roy– My favorite holiday drink is the Chocolate Cherry Baileys with milk. Colleen Knudsen– My favorite would be a really big bottle of Riunite Lambrusco…about $10 for a small bottle, eggnog followed closely by apple cider. Susan Drouillard– I like Baileys in my hot chocolate. It also works well in chocolate milkshakes. Hiram Walker used to make Swiss Chocolate Almond liqueur that was good in milkshakes but I don’t think they make it anymore. Mary Campbell– My favorite holiday drink is Stash’s White Christmas tea…white tea with a hint of peppermint and ginger. Pat Comeau Ciulka– I don’t really have a favorite holiday drink but hubby likes eggnog. Heather Salter- I usually like to have brandy and eggnog this time of the year but I was introduced to Sailor Jerry spiced rum and eggnog..that’s my favorite. The Sailor is a few bucks more than normal rum but it is so nice and due to the fact that it has a higher alcohol content. Two is definitely my limit even with sipping it slowly, so it goes a long way. I also like Peppermint Smirnoff in hot chocolate. Beth Anne– My favourite beverages at this time of year are Celestial Seasonings Candy Cane Lane Tea, Apple Cinnamon Tea by Stash , Stash Wintermint tea, and Tazo Tea Green with Ginger . I rarely drink alcohol but when I do, a warm Benedictine and Brandy is just about perfect for a cold winter night. Sharon E Pratt Voskamp– My favourite drink is eggnog and fireball whiskey. 2 oz fireball whiskey to about 14 oz eggnog. It’s awesome. Christine Weadick– I’m not a big drinker but I do love Gourmet Village Hot Chocolate . Love the French Vanilla and white chocolate!! Judy Finch Conte– My favourite drink is water, tap water. Rarely have a tipple but do like Frangelico or Disaronno especially in coffee. Della Ferguson– My favourite holiday drink doesn’t exist but my family like to have a punch of bottles of Sprite (or some kind of ginger ale) and frozen juice mixed together. Barry Robinson– I love eggnog straight or mixed with Bourbon, Scotch or even Rum. Discussion Question: What are some of your favourite economical Christmas drinks to serve? 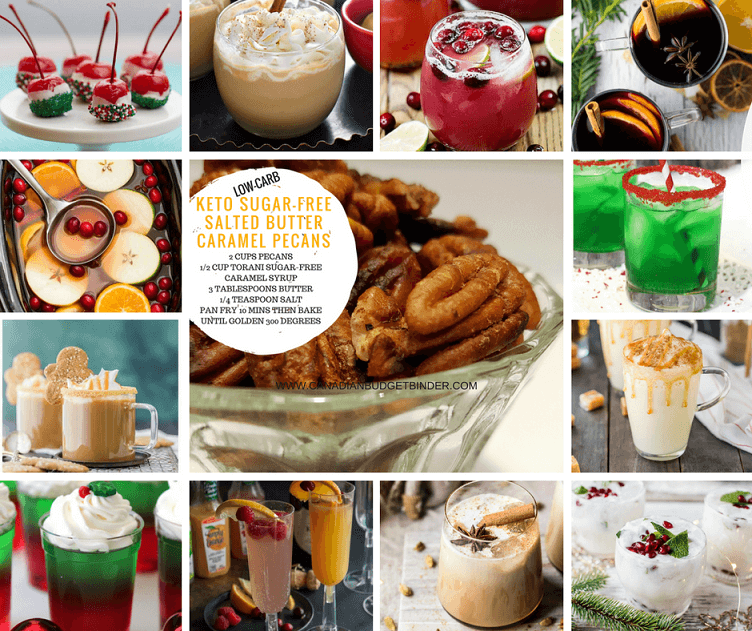 Which would you pick from our list of Christmas drinks to serve at your next holiday party? Check out our full Free Recipe Index on CBB for tonnes of recipes including Gluten-free, Sugar-free, Low-carb/keto-friendly. Congratulations to Mary for winning the $50 Gift Card in the Grocery Game for 2017!! To end the year off right I’m going to extend this $50 gift card to Dee as well. You have both been inspiring to grocery shop this year and throughout the years from start to finish. Many people have joined the grocery game challenge but only few finish. Keep on saving ladies!! I don’t think we did too bad this week considering we will be going home shortly for the holidays so our last shop will be a no-shop week after next week. We might just make it plus we have our stockpile budget left for this month. Soon we will know all the numbers for the year!! I can’t believe it’s almost over. Overview: Another stock up week. Really only have to deal with perishable items for the rest of this year. I got them all. 🙂 I moderate all the comments that’s why. We are really enjoying our time off together…hubby even took me for a nice brunch yesterday in the US! What can I say…it’s another NO SHOP WEEK! We ALMOST shopped yesterday but we were only going to pick up 4 “sale” items. Unfortunately all 4 of those items were priced incorrectly in their system. I hate RCSS for so many reasons and this is one more of them. Hubby was doing a self-checkout, so we kept calling for a staff override but that meant running back to where we found the item to show the gal the correct price. My back was giving me grief after a long and busy day, so when the 4th item came up at the wrong price…I’d had enough and told her to keep the whole darned lot! I was not running to the far end of the store for a 5th time!!! With all food we still have in the fridge to eat up, thankfully I can get away without shopping again until after Christmas. I do have a substantial list for our New Years Eve celebrations though. OUR CURRENT TOTAL UNUSED RESERVES ARE $1,879.41. This means the $1,274.44 that we carried forward from 2016 PLUS AN ADDITIONAL $1,635.94 that we have added in 2017, LESS $1,030.97 that we have drawn out for use in 2017.